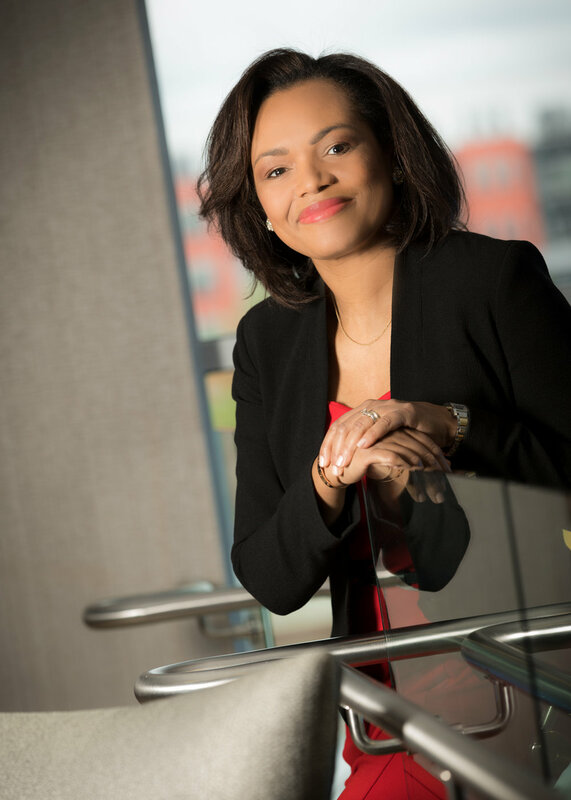 For our recurring Follow the Leader column in this issue, Tepper Magazine spoke with Lyenda Simpson Delp, MSIA ’97, who was recently promoted to managing director at BlackRock. We present her experience as one of only a few women of color in the U.S. to hold a director title at a Fortune 500 company and what led her there. As a new managing director at BlackRock, the New York-based global investment management group, Lyenda Delp now helps oversee the firm’s hefty, global client base and her talented team that delivers asset management, risk management and advisory services to sophisticated insurance company clients. Her promotion comes amid BlackRock’s dominance in financial services and a growing reputation as a diverse employer. Delp, who joined BlackRock in 2009, was not always a student of finance; she started off studying biochemistry and chemistry at the University of the West Indies and initially pursued a career as a doctor. However, today she feels right at home. She finds her strong work ethic, her determination and her willingness to push through adversity help her serve her clients well. She knows that clients can only endure and thrive when their relationship feels certain — clients notice when you can be relied on, especially when things aren’t easy. And while her new role feels like a huge honor and is extraordinarily exciting, Delp refuses to rest on her laurels; she still feels she has much to achieve. As her father always told her growing up in Jamaica: If you want to achieve, you must work very hard. I grew up in Jamaica in the late ’70s and ’80s amid much economic and political uncertainty. In 1962, Jamaica became an independent nation and part of the British Commonwealth. As the new nation found its way, new challenges, including the devaluating Jamaican dollar, meant everyday commodities became increasingly expensive for ordinary Jamaicans. Our party leadership also changed in this newly independent country. Often volatile politics and government and divided political parties created tensions. My parents — university-educated, upwardly mobile civil servants — were especially devoted to my brother’s and my futures. They also helped raise several cousins and established themselves as role models in our community. As a Justice of the Peace and community leader, my dad fully believed young people must work very hard to achieve. I remember my mother too often fell asleep at the kitchen table (having worked hard all day) while I studied for our common entrance exam determining our fate and entry into the best high school. My father, even when he learned we were top of our classes, rejected any ideas of complacency and urged our teachers to further challenge us. When I look back, their guidance was so thorough and helpful. Because I spoke regularly to our church congregation, I could comfortably address large crowds. To ensure we understood politics and the world, my mother made the newspaper part of our daily reading, and my dad discussed current affairs with me on our drive to high school. All this training and guidance led me closer to my studies at Carnegie Mellon and a career in global finance. At the University of the West Indies, I studied biochemistry and chemistry with the end goal of either gaining my Ph.D. in chemistry or becoming a doctor — I never entered university with the intent of studying business. It was only when I visited an ailing, diabetic uncle in the hospital that I realized I perhaps lacked the stamina and passion to pursue medicine. I also found the long hours in the chemistry labs unstimulating. After taking the Myers–Briggs test at the university’s career center, I learned I possessed extremely strong analytical and mathematical skills. An advisor recommended that I attend a visiting panel of investment bankers seeking candidates for their coveted management training program. After meeting with the nine-panel board, each bank offered me a place. I chose Workers Bank, and my passion for finance and asset management (along with an entirely new career) began. At Workers Bank, I felt surprisingly comfortable and happy. After two years working as a management associate and credit analyst, my parents and colleagues encouraged me to take the GMAT and apply to business schools. Several community leaders, including a trusted family friend, a former engineer, endorsed Carnegie Mellon for its strong science focus and its diverse international students; it was the first (and only) program I applied to. When I gained admittance in my early 20s into Carnegie Mellon, the prospect of financing the program felt daunting given the almost daily devaluation of the Jamaican dollar against the U.S. dollar. But my parents said, “We will figure it out.” And we did. As a non-U.S. citizen, I remained ineligible for financial aid. I felt challenged leaving my family and Jamaica but was determined to find my way on my own. I could have studied in New York, where family and a few family friends lived, but Pittsburgh and Carnegie Mellon appealed to me best. As one of the younger people in my class, I stood out; however, engaging with others and feeling open to learning from others really helped me. Those who’d worked for longer still felt I had some perspective to bring or bear. I felt very proud when my classmates voted me — a young girl from the Caribbean — to become a Management Game president. The cold Pittsburgh winter challenged me — long days studying indoors meant I often missed seeing the sun. I missed Jamaica’s hot breakfasts — the spicy, colorful food — and had financial challenges. I had a steep learning curve on how to dress warm. The boots I bought proved ineffective: On my first snowy day, my socks became soaking wet. I loved my studies, though, and made great friends. I also met my husband, Warren (Phil) Delp [MSIA ’97] in the first weeks of my studies, although we didn’t start dating until later. The common Tepper School experience benefits our [present-day] relationship and made it tremendous fun returning for our Reunion this year. The Tepper School reinforced the work ethic my parents taught me: You must work very hard to succeed. Never remain complacent; always strive to be your best. A strong team dynamic also existed, and the idea that while you may have been a big fish in a small pond, now the pond was bigger. I had strengths, but others had strengths I lacked. I am really good at several things, but so were my teammates. I did my share of the work to learn and achieve. CMU provided great training for the corporate world — the training, the teamwork and simulated business games teach you how to lead at your best and how to get the best out of every team member. The Tepper School showed me: It’s the composite of all of us that makes an organization great. 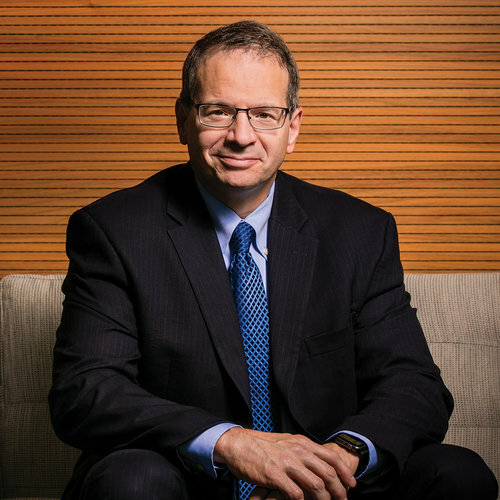 Before graduating from Tepper, I received multiple job offers but ultimately joined Deloitte Consulting, where I worked as a management consultant for almost three years before joining Goldman Sachs. For nine years, I worked at Goldman Sachs, most recently as a client portfolio manager, where I experienced significant growth and considerable travel across the U.S. and Europe. I joined BlackRock as client relationship manager, made director, and am now managing director within eight years. Becoming a managing director at BlackRock last year remains my proudest career moment. By being here, I can credibly say to others: You can achieve your dreams — varying paths and timelines exist for getting there, but here is one example, if you apply yourself by doing the hard work and by maintaining integrity. This is an incredible organization taking a big, long-term view of our place in the world. I’m proud to be part of it. My own life experience and career have specifically shown me that leaders need integrity and a sense of purpose, but they also need courage and determination. To lead well, there must also be a clear vision — not in the grandiose sense — communicated in ways that others can break into manageable parts. You must clearly get across to your team: Here’s what we will deliver overall and for parts A, B, and C. Strong leaders must also remain compassionate; otherwise, you’re going to become lonely in a short time. Life is complex. Things happen, and you must be able to show appropriate empathy toward others. That’s the important E.Q. part of leadership. These days my personal motto is: “Anything worth doing is worth doing well.” It incorporates the essence of both my parents’ favorite quotes. There is so much more I want to achieve, and I plan to approach it with the same determination and focus. It’s the only way I know to be.